Using a proprietary method of extraction, Southern California’s Pure Ratios has revolutionized the delivery and consumption of CBD products. With a commitment to careful testing and quality control, their product range is entirely free from artificial additives. Browse below to see for yourself. Founded in Southern California in 2014 by William (Billy) Conner, Pure Ratios has come a long way in a short span of time. Backed by a team of herbal, natural, and pharmaceutical experts, Pure Ratios has successfully brought together meticulous scientific research and age-old natural remedies to produce a consistent and effective serving of CBD, every time. Today, their diverse team continues to work towards finding a balance between Western scientific developments and ancient Eastern medicine. By using a proprietary method of C02 extraction, and by mixing their hemp extracts with an assortment of essential oils and herbs, Pure Ratios has created a range of CBD products primed to deliver natural, soothing relief. 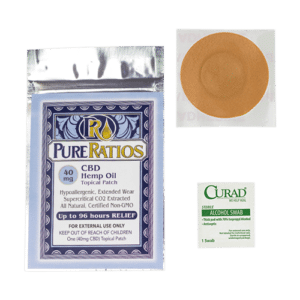 Why Choose Pure Ratios CBD Products? With a growing reputation for promoting a sense of calm and relaxation and bringing relief to aches and pains, CBD has never been more popular. But for many, it can still be quite daunting—especially if you don’t have any experience with vape oils or vaporizers. That’s why brands like Pure Ratios are so important. They’re providing an accessible, easy-to-use way of introducing CBD into your day-to-day life. 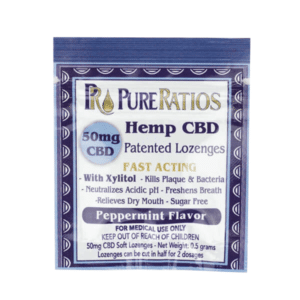 For instance, the Pure Ratios patented CBD Lozenge provides a slow-release serving of CBD with a refreshing peppermint flavor. The candy slowly breaks down in your mouth before being absorbed between your cheek and gum. The CBD contained within it bypasses your digestive system for fast and efficient absorption into your bloodstream. If you don’t have a sweet tooth or the inclination to take daily supplements, their Hemp Oil CBD Patch is made for you. Simply place it on clean, dry skin and enjoy a full serving of 40 milligrams of CBD released over 96 hours. Why Order Pure Ratios Online? The Pure Ratios patches are ideal for an on-the-go lifestyle, but why should you buy them online? It’s simple: we’ve taken the time to build a curated CBD online store, offering only the very best quality and selection of CBD products available today. In short, if it’s in our web shop, it’s up there with the best around. What’s more, the entire process is straightforward and seamless. Browse from anywhere and buy when you’re ready with Healthy Hemp Oil. Remember: If you’re pregnant, lactating, or suffering from a serious illness, ask your physician before taking any supplements, applying topical oils or patches, or changing your diet in any significant way. Also, remember to keep your Pure Ratios CBD product in a dry and cool place, out of the reach of children and pets. One of our top goals here at Healthy Hemp Oil is to become the most consumer-friendly provider of CBD products available anywhere online. As such, we’re committed to researching and sharing the latest objective information (including recent scientific discoveries) regarding CBD and its potential benefits. Our attention to detail also extends to our careful selection of CBD edibles and supplements, such as the Pure Ratios CBD lozenge. It’s vitally important to us that you feel satisfied with your next CBD purchase, and if you’re ever unsure about anything related to CBD, our clued-up support team are only ever a click away. Check out the Pure Ratios CBD products for sale on this page, or get in touch if you have any questions.